Bewdley Pizza (in Bewdley and Millbrook)Record Owner? Log in. We also offer caeser salad, garlic bread, torpedo's and wings! 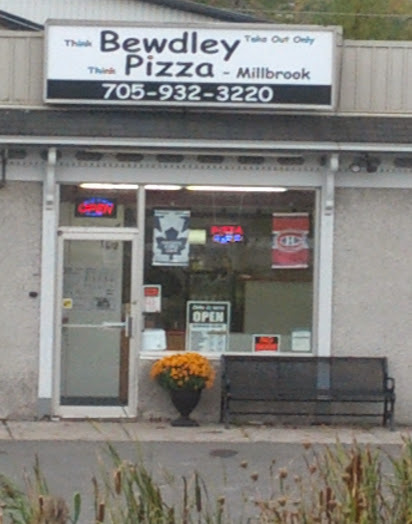 Bewdley Pizza and Bewdley Pizza Millbrook are take out only. We are committed to using the finest ingredients in our recipes. No food leaves our kitchen that we ourselves would not eat. 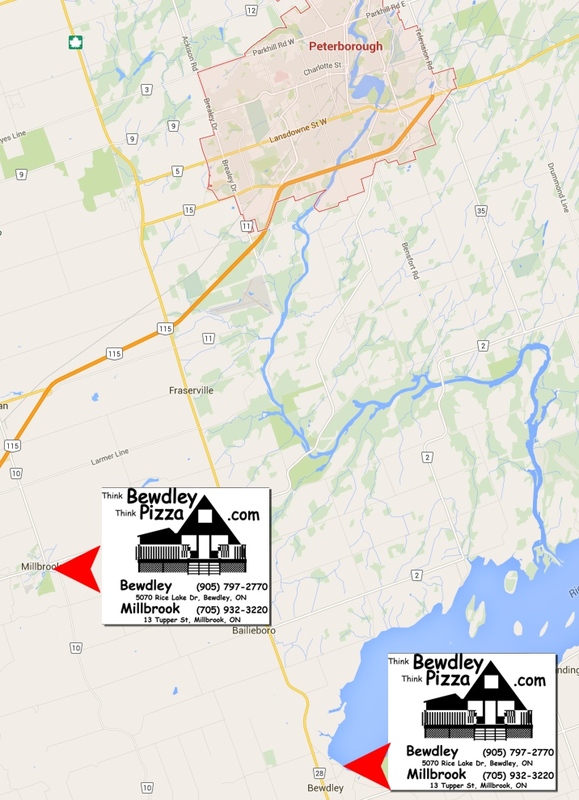 Have something to say about Bewdley Pizza (in Bewdley and Millbrook)? Delicious Reside not far from the Bewdley location. The pizza is outstanding and fully loaded. Regularly get the meat lovers with no regrets. Not a big lover of the panzerotti as it has too much Dow. Recommended for any local people residing or visiting area. Strictly take out unless you want to eat at a picnic table or sit at lake front during the summer. Awesome pizza. Great crust not too doughy but thin enough to hold all those generous toppings. And finally a place that puts the right amount cheese on. Cooked to perfection!